Known as one of the crowning jewels in the fitness industry of Atlantic Canada. Now available 24/7! Please contact us for more details. Our Garfield Street location is the larger of our two locations, boasting two bright and spacious levels with lots of natural light. Often touted as a “crowning jewel” in the Atlantic Canadian fitness industry, this facility includes a wide array of fitness equipment ideal for any level of training. Additionally, this facility offers ample free parking and saunas in both locker rooms. Great mixture of body sculpting and athletic movement in a structured Boot camp style setting. *Perfect for all fitness levels. 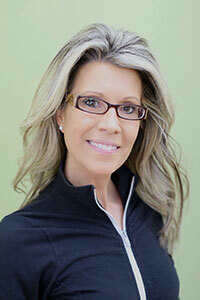 Stacey has been a part of the Atlantic Fitness Centre team since 1997. She brings a high level of client service to our facility. In 2002, Stacey assumed the manager position, after 5 years with the company, bringing with her an extensive background in sales and customer service. She is also very passionate about her own fitness goals, always pushing to be the best she can be.